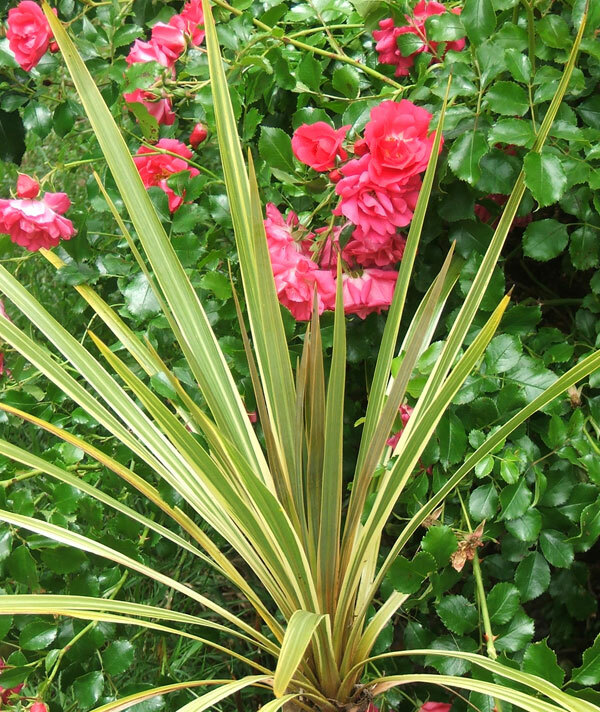 My garden is full of Cordylines. 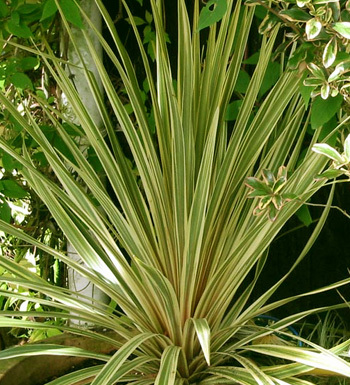 Many start their spiky Moosey lives in pots, particularly any which have the audacity to be the tiniest bit expensive - like Cordyline Albertii, the super-stylish variegated model. I now have two other variegated Cordylines, and they seem to have escaped the dreaded fate of being a caterpillar creche. One sits in the little sunken courtyard in the Shrubbery, by the rustic benches. Another has prime location in a house border by an exhuberant pink Flower Carpet rose. Neither grows particularly fast, but hey! It's the style of the leaves that I like, after all.